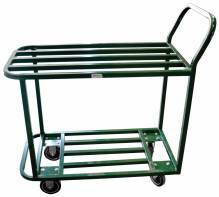 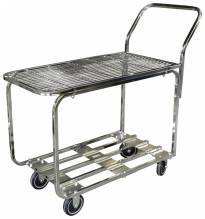 Use a stocking cart in your business or establishment to safely and productively transport products. 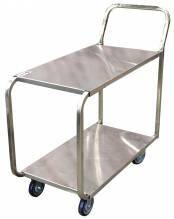 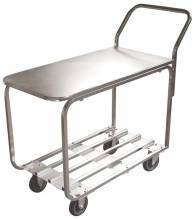 Durable stocking carts available in solid stainless steel, all welded, or solid top. 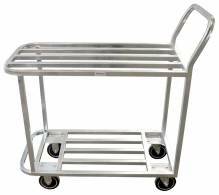 Finished for easy cleaning, these stocking carts are a must-have for all types of business establishments. 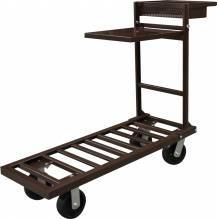 Whether to use to unload deliveries, or to transport goods, using a cart is a safe option for heavy items, or large quantities without having to make more trips. 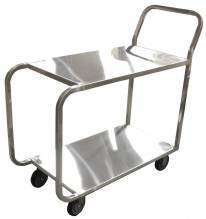 Dish and storage bins available.